Which Amex Membership Rewards Earning Cards Are Worth Holding Long-Term? 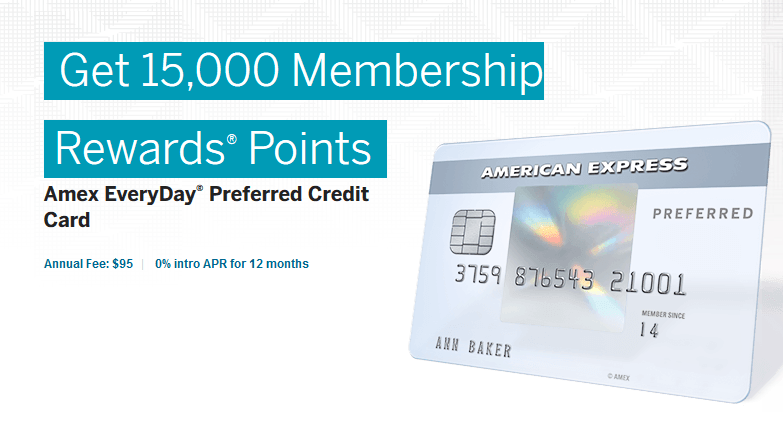 Amex Membership Rewards is unique among transferable points programs in that it is the only program that has a card with no annual fee which still allows transfers to partners. That card is the Amex Everyday card (not to be confused with the Everyday Preferred card, which we take a closer look at below). So if you ever find yourself going through a period in which paying the annual fee on any other Amex cards is not worth it to you, but still want to retain your stash of MRs and ability to transfer them, a product change to the Everyday card may be the best option. In this piece we follow up on our analysis of Chase UR-earning cards are worth holding long-term by performing a similar analysis for Amex Membership Rewards earning cards. The cards we will compare all earn MRs that can be transferred to Amex’s lineup of airline and hotel transfer partners and each card carries an annual fee. We will help you determine if the benefits of each card outweigh the annual fee and if the cards are worthy of a permanent place in your wallet. The Everyday Preferred card carries an annual fee of $95. It has a unique points earning structure: 3x at supermarkets up to $6,000 annually, 2x at gas stations, and 1x on all other spending. However, these numbers can be amplified because if you make at least 30 separate transactions within a billing period you earn a 50% points bonus. Therefore, the respective earning rates would be 4.5x, 3x, and 1.5x for the preceding categories. For most people, hitting 30 transactions in a month shouldn’t be too hard, and can be aided with simple tricks like using the self-checkout aisle at your local grocery store and separating your purchase into multiple transactions. Other than the ability to transfer points to partners, this card doesn’t really offer much in the way of travel-related benefits. It also carries a 2.7% foreign transaction fee, so put it in the sock drawer if you are headed overseas. So is this card worth the $95 annual fee? It largely depends on how much you value Membership Rewards. Amex has a solid, but not great lineup of transfer partners. The most useful are Delta, ANA, British Airways, and Singapore Airlines which all transfer at a 1:1 ratio. If we value MRs at a fairly common 1.5 cents/point, then you would need to earn 6,333 points per year to break even. This could be done pretty easily for many by shopping for groceries alone. If you earn the 50% bonus for making 30 transactions in a month, then you would only need to spend $117/month at supermarkets to break even, or $176 if you don’t earn the 50% bonus. Each individual needs to do the math using their own spending habits, but the threshold to get more than $95 of value out of this card is pretty low. This card carries an annual fee of $195 after the first year. Card members can receive an annual airline fee credit of $100 which can effectively reduce the annual fee to $95. There are easy methods to buy gift cards via airlines and get reimbursed with this credit, so don’t worry if you don’t normally have $100 of legitimate airline fees per year. The card also has a very good lineup of bonus categories: 3x on airfare purchase directly from airlines, 2x at restaurants, gas stations, and supermarkets, and 1x for all other purchases. The card comes with access to The Hotel Collection, which offers $75 for each stay of at least 2 nights on dining, spa, and resort activities (up to 3 rooms per stay). Determining whether or not this card is worth holding long-term is a bit more complicated than for the Everyday Preferred. We will assume everyone can take advantage of the $100 airline fee credit, leaving us with $95 in value to recoup. If you would normally make at least 2 room reservations at the type of hotels Amex offers through the Hotel Collection and would normally spend at least $75 on qualifying purchases, then it is worth it for you to hold this card. If we stick with our 1.5 cents/point MR valuation, then recouping the $95 would require $3167 of annual spending in the 2x categories, or $2111 of spending in the 3x category. Again, do the math using your travel and spending habits to determine if this card is right for you. The Platinum card carries a hefty annual fee of $450, but offers a wide variety of benefits that can make this worth it for many people. First, there is a $200 annual airline fee credit which effectively reduces the annual fee to $250. The card offers access to a variety of airport lounges (Delta Sky Clubs and Priority Pass for the card member, Centurion Lounges for the card member plus guest privileges). You can receive a statement credit once every 5 years for a Global Entry or TSA PreCheck application fee. It also offers automatic Gold status with both Hilton and SPG. The card comes with access to both the Hotel Collection outlined above, and the Fine Hotels and Resorts program, which offers more generous benefits such as a $100 food/beverage or spa credit, daily breakfast for two people, guaranteed 4pm checkout, possible room upgrades, and free Wi-Fi. This card only earns 1x on all spending, so it’s not easy to make up for the annual fee with spending alone. The real value comes from the lounge access and hotel benefits. The amount of value you can recoup with these benefits will vary greatly depending on your travel habits. If you fly often and don’t have lounge access via other means, and/or can take advantage of the hotel benefits enough to get $250 of value, then this card is worth holding long-term for you.